Asian patients with untreated ALK-positive advanced non–small cell lung cancer (NSCLC) lived significantly longer without disease progression if they received the next-generation tyrosine kinase inhibitor alectinib (Alecensa) instead of crizotinib (Xalkori) as initial therapy, as reported at the 2018 ESMO Congress. Crizotinib-treated patients had a median progression-free survival (PFS) of 11.1 months, whereas the median had yet to be reached in the alectinib arm of the trial. Statistical analysis yielded a hazard ratio (HR) of 0.22 in favor of alectinib treatment. Subgroup analysis showed consistent improvement in PFS with alectinib, which already has FDA approval as first-line therapy for advanced ALK-positive NSCLC. The results also showed consistency with 2 previously reported randomized comparisons of the 2 agents, 1 conducted in Japan and the other a global study. 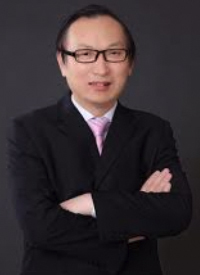 “Benefits also were confirmed for the secondary endpoints of time to central nervous system (CNS) progression, objective response rate, and duration of response,” said Caicun Zhou, MD, PhD, of Tongji University and Shanghai Pulmonary Hospital in China. “Safety results in an Asian patient population were generally consistent with the known safety profile of alectinib. The global phase III ALEX trial demonstrated superior PFS, CNS efficacy, and a favorable adverse event (AE) profile with frontline alectinib versus crizotinib. An updated analysis of the trial showed a median PFS of 34.8 months with alectinib as compared with 10.9 months for patients treated with crizotinib. The J-ALEX study demonstrated similar superiority for alectinib versus crizotinib in a population of Japanese patients. The primary analysis showed the median PFS had yet to be reached in the alectinib arm versus 10.2 months with crizotinib, but the analysis produced a statistically significant HR of 0.34 in favor of alectinib. The ALESIA trial compared alectinib and crizotinib in an Asian patient population with untreated advanced ALK-positive NSCLC. The trial involved investigators and patients from China, South Korea, and Thailand. The primary objective was to confirm and extend the ALEC and J-ALEC results. Investigators randomized patients 2:1 to receive either alectinib or crizotinib at the drugs’ globally approved doses. Treatment continued until death, disease progression, or development of unacceptable toxicity. The primary endpoint was investigator-assessed PFS. Secondary endpoints included PFS assessed by an independent review committee, time to CNS progression, investigator-assessed objective response rate and duration of response, overall survival, CNS response, safety and tolerability, quality of life, and pharmacokinetics. The primary analysis included 187 patients. The study population had a mean age of approximately 51, and men accounted for 50%-55% of the total study participants. About 65%-70% of patients had a negative smoking history, and about 25% were ex-smokers. About a third of the patients had CNS metastases at enrollment. The primary endpoint analysis showed that treatment with alectinib reduced the risk of death or disease progression by 78% as compared with crizotinib (95% CI, 0.13-0.38; P<0.0001). Independent review of the PFS data resulted in a median PFS of 10.7 months for the crizotinib arm of the trial and an indeterminate media value for the alectinib arm. The difference between groups translated into a 63% reduction in the HR in favor of alectinib. Investigator-assessed response rates were 91.2% in the alectinib arm and 77.4% in the crizotinib arm. An additional 5.6% and 12.9% of patients had stable disease with alectinib and crizotinib, respectively. An analysis of investigator-assessed response rates showed a median duration of response of 9.3 months for crizotinib versus an indeterminate duration for the alectinib responders. Comparison of the 2 groups produced a HR of 0.22 in favor of alectinib. Among patients with measurable CNS lesions at baseline, independent reviewers determined that 16 of 17 patients in the alectinib arm attained objective responses, as compared with 2 of 7 patients in the crizotinib group. An analysis that included patients with measureable or unmeasurable lesions showed response rates of 72.7% with alectinib and 21.7% with crizotinib. The median duration of CNS response was 3.7 months with crizotinib and not evaluable for the alectinib arm. Though overall survival data remained immature, a preliminary analysis showed that the median survival had yet to be reached in either group. Even so, the analysis yielded a HR of 0.28 in favor of alectinib (P=0.0027). A safety analysis showed that serious grade 3-5 AEs occurred more often with crizotinib (48.8% vs 28.8%), as did serious AEs (25.8% vs 15.2%). Rates of discontinuation because of AEs were 7.2% with alectinib and 9.7% with crizotinib. Dr. Zhou said that most of the commonly reported AEs occurred more often with crizotinib. AEs that occurred ≥10% more often with alectinib were increased CPK, increased bilirubin, sinus bradycardia, increased alkaline phosphokinase, weight gain, and rash. Zhou C, Lu Y Kim S-W, et al. Primary results of ALESIA: A randomized, phase III, open-label study of alectinib versus crizotinib in Asian patients with treatment-naïve ALK+ advanced NSCLC. Presented at: 2018 ESMO Congress; October 19-23, 2018; Munich, Germany. Abstract LBA10.